According to Black Bluebirds' official website they claim "Rock isn't dead. It isn't even sick. Minneapolis saves the day. Black Bluebirds." Hence forth that expression sounds awfully like the one Such and such isn't dead, they are just sleeping" sort of about the same. 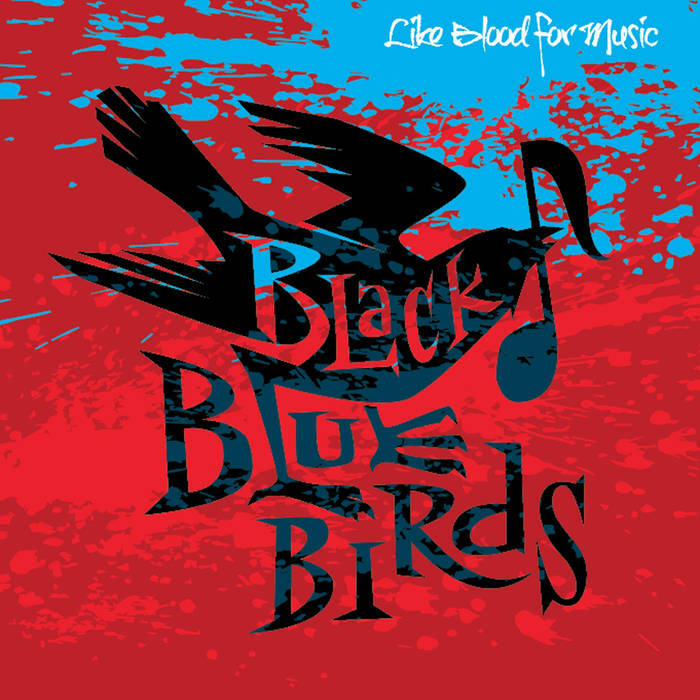 In any matter though Black Bluebirds' debut album "Like Blood For Music", takes the track "Love Kills Slowly" a track of sorts, catching on to the ears of many. So then how does "Love Kills Slowly", sound off to be like, well it takes the likeness of goth rock music, mixed in with some dark rock elements to a certain point. That is in terms of the music quality as for vocalization it takes on two vocalists, one of the female vocalist being front and center, with the backing vocals being done by a male end, the two together, make the track, as well as the other tracks off "Like Blood For Music", sounding top notch through and through. It's like their an act from a blast of the past ordeal, take the goth rock time frame of the late 80's to 90's era, you got other acts like The Cure, Sisters Of Mercy, Bauhaus, those are what Black Bluebirds sound like, upon this track and the accompanying album as well. To a slightness at least. The track itself is very mellow dramatic, has this in-depth edginess to it. Keeps the music rather upbeat and toned, but still works freely, as the track flows along. Vocalization and instrumentals doing their share of portions, as the track figures itself out. In other words, it is just a track of sorts, that has a lot of effort thrown into it. It becoming one of those types of tracks, you can toss on, not getting bored with, because the material is so appealing, you won't get fed up with it. Now this track likely would not be heard within the comfort zone of a gothic night club setting, but played upon a radio station of the gothic genre, most possibly maybe. It is somewhat in the middle of being able to be thrown here or there really. Likely how the track will be for many more years to come. Black Bluebirds is just another type of band, whose style is very appealing and catching that you want it more and more. Hence why, listening to this track several times through, it became more bouncy, outgoing, and just loads of fun. Surely had me swaying back and forth to the beat of the rhythms, as well as singing along to the lyrics. Gripping is how you can depict it best. When listening to it as many times as I had done, their style does not only bring out a classic 80's to 90's feel, but a modernized feel as well. Like Eyes Set To Kill crossed with New Years Day, type of material is how much these guys would fit into it. If you dig those acts, then the Black Bluebirds is right up your alleyway of all that is dark, mellow, and easy listening.